Why Does Harry Wear Glasses? Since I’ve said this so many times by now, I thought I would stop and really think about where it’s coming from. Why do I automatically want to change a character who is successful, smart, popular, (more often than not) good looking and well adjusted, and give him/her a little more misery? Is it something as immature as jealousy, or could it possibly have deeper, more literary fuel behind it? 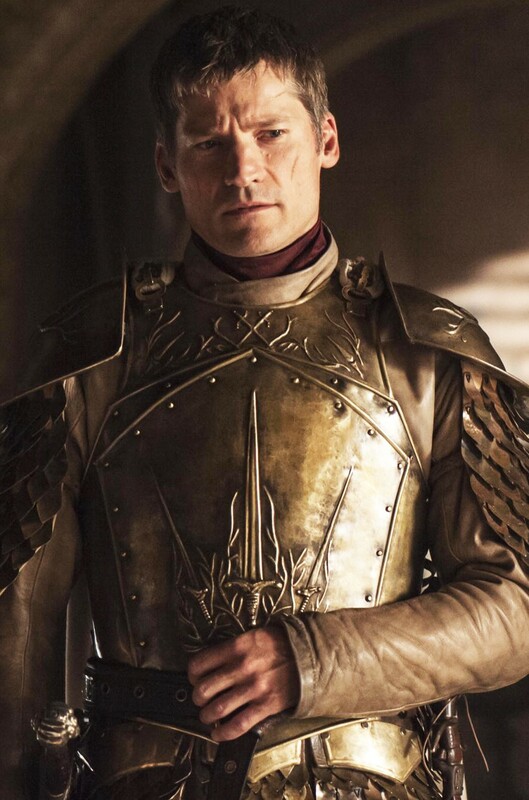 It may be a bad idea to put anyone from Westeros on that list, actually, since their very lives are cursed by being born into that brutal world. But why do we want our fantasy heroes and heroines to not really ‘have it all’, at least at the start of their grand adventures? I touched upon this point briefly when I wrote about ‘The Poor Little Rich Boy’, a character type that’s easy to find in this genre. An attractive, wealthy, very skilled man who should, traditionally, be at the top of his social food chain is for whatever self-created reason low down, mired in troubles and more often than not, deeply unhappy. I used Jaime Lannister from A Song of Ice and Fire and Sirius Black from Harry Potter as poster boys for this trope. Both have all the factors I’ve listed above, plus a certain swaggering, devil-may-care air, that falls apart quite spectacularly as their story progresses. angst, and the readers are sympathetic, rather than envious. I’m not saying it’s every author’s ambition to make a reader feel ‘better about themselves’, but not feeling alone is one of the many reasons why people read books, and if they see that even those who seemingly ‘have it all’ are not entirely happy (often for terrible, tragic reasons), maybe they’ll feel less overwhelmed by their own anxieties. Second, a reader needs an anchor in this entirely new, magical world. That’s the reason, I’m sure, most writers pick complete newbies to play the defining, ‘protagonist’ role in their fantasy series—they provide convenient tools through which to info-dump on readers. Harry has no idea the wizarding world exists, so everything he comes across must be explained to him and hence, to us. Rand al’Thor is a village bumpkin who thinks a two-day trip outside his village is a big deal; all the new places he goes and people he meets are, therefore, revelations and worthy of being shared with a reader. But apart from the newbie status,we need a reason to hold onto these characters, to feel some sort of emotional connection with them. They are,after all, our alter-egos in this fantastic new place. And the easiest way to build this sort of connection is to make us feel just the slightest bit sorry for them. This is why, so often, the heroes and heroines are poor, or orphans, or not especially powerful in their social circles. Then we have a reason to root for them and watch them grow, proud of our own emotional investment that has begun to pay off. Everyone loves an underdog after all. I think this is also why, so often, fantasy novels stutter to a close once the protagonist has done their job, and bowed out of the arena. What comes after being a hero? Domesticity, for Harry. A peaceful passage to the West, for Frodo. Slow coming to terms with loss, for Katniss. Wander the world, for Shadow. The struggle is over, so why should any of us readers care about these imaginary people in these fantastic worlds any longer? So this is the question Rothfuss is trying to answer, and I’m waiting to see how he does it. If you live on the internet and know your Harry Potter, you would have heard that just a few days ago, James Sirius Potter, the eldest of the combined Potter-Weasley-Granger brood, set off on his first ever journey to Hogwarts School of Witchcraft and Wizardry. He was wished off in style, we presume, by his parents, his aunt and uncle, millions of Muggle wellwishers and, of course, his Creator herself, J.K. Rowling. But it did make me think, a lot. 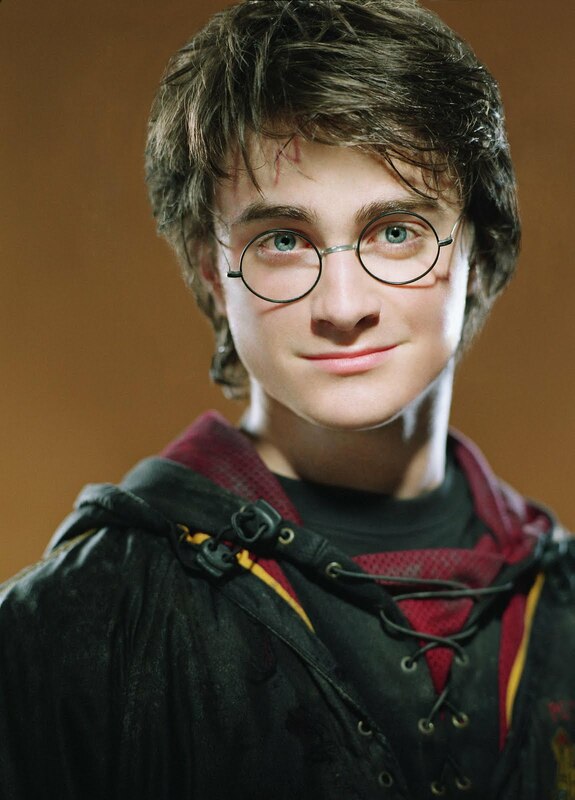 Harry Potter is actually all grown up now, not just in the pages of Deathly Hallows (where he grew up nearly ten years ago), but out there, in the virtual world, people are recognizing him as a thirty-something who’s got kids and a wife and a stable, secure career. Harry probably pays taxes and has to work out regularly (no more scarfing down seconds of rhubarb crumble) and maybe meets his friends, what, once a week? I suppose he might see Hermione more, thanks to working in the same huge office, but I doubt that the amount of work she most likely takes on herself, she has much time for social engagements. I wonder what it would be like, to watch a character you’ve sort of grown up with, deal with decidedly less exciting problems than a Dark wizard, the sort of problems that real-life people deal with. It’s much easier, for some reason, to imagine Harry filing his taxes than Frodo, and that’s not just because of the much more socially and adminstratively advanced realms the former occupies. What Rowling did by throwing in that Epilogue, much as many people hated it and scorned it for being ‘remarkably twee’ and hinting at continued problems, was to prove that her hero, unlike Tolkien’s, had a future and a life outside of his quest. This is really quite a revolutionary thing to do in fantasy, and the only other person who seems to be working on it right now is Patrick Rothfuss.^ What happens to your hero when he walks off into the sunset—Tolkien and Jordan have covered that. Martin might not cover it because, as far as we can see, there is no sunset for his heroes to saunter into. But Rowling had Harry come right back into the business of living, really living, after his showdown with Voldemort. Maybe he took a long holiday—he certainly deserved it—but he came back from it and plunged right into the Dark wizard catching business. It’s like if Frodo had set up monthly tours to Mount Doom. Maybe this is another reason why Harry is as popular and amazing a hero as he is. 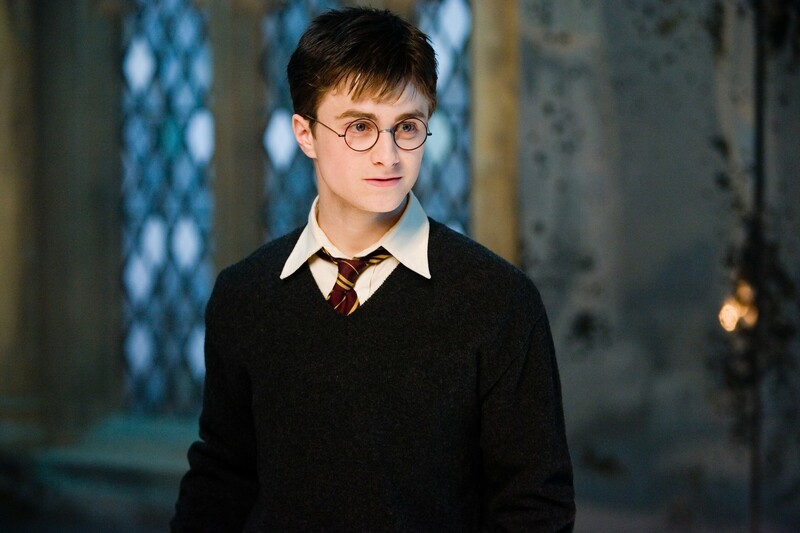 Unlike many others, who were offered a way out, Harry gets real. Harry finishes off with the excitement of saving the world early on, and then settles down to really ‘having a life’. Instead of having incredibly overblown expectations and entitlement (the kind I must confess to having), he settles for the white picket fence dream and seems to think that life really can’t get better than this. I suppose he has perspective, unlike most of us. Having spent the greater part of his teenage years continually facing down danger, he knows that there are worse things than a job you don’t like, or social-media inspired envy. 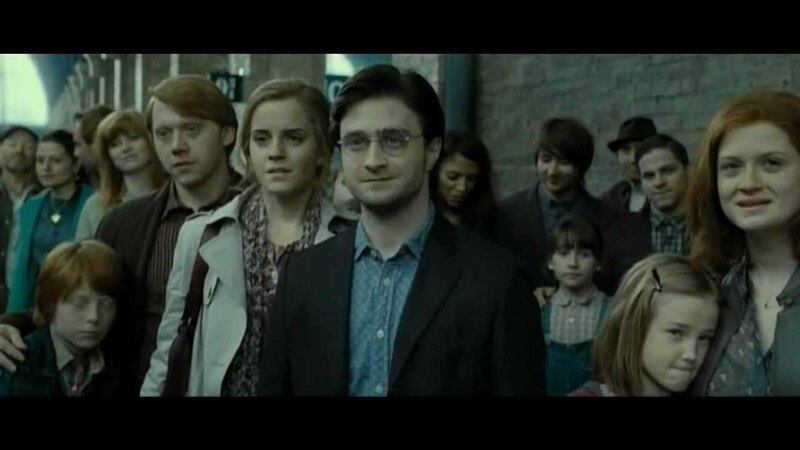 Harry is a wise man, and seeing his kid off at the station is probably a wonderful day in his book. It’s nice to think of a Harry at peace. And it’s quite something when you realize that Rowling, though she gave him this domestic bliss, still hasn’t quite reduced him to ‘boring’. ‘Harry is a dad!’ doesn’t take away from his derring do and pluck. Just like the reliable Sam Gamgee, he’s done his duty, lived to fight another day, and then used that other day to soldier on, with better food and shelter. So carry on the good work, Harry, and may your son enjoy his time at Hogwarts.